The Barrio Azteca was organized in the El Paso, Texas, County Jail in 1987 from where it moved to the streets and the Texas Department of Criminal Justice prison system. 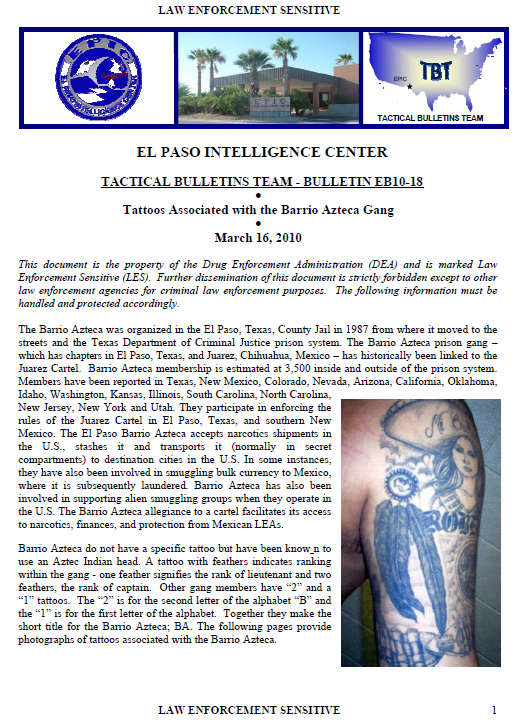 The Barrio Azteca prison gang – which has chapters in El Paso, Texas, and Juarez, Chihuahua, Mexico – has historically been linked to the Juarez Cartel. 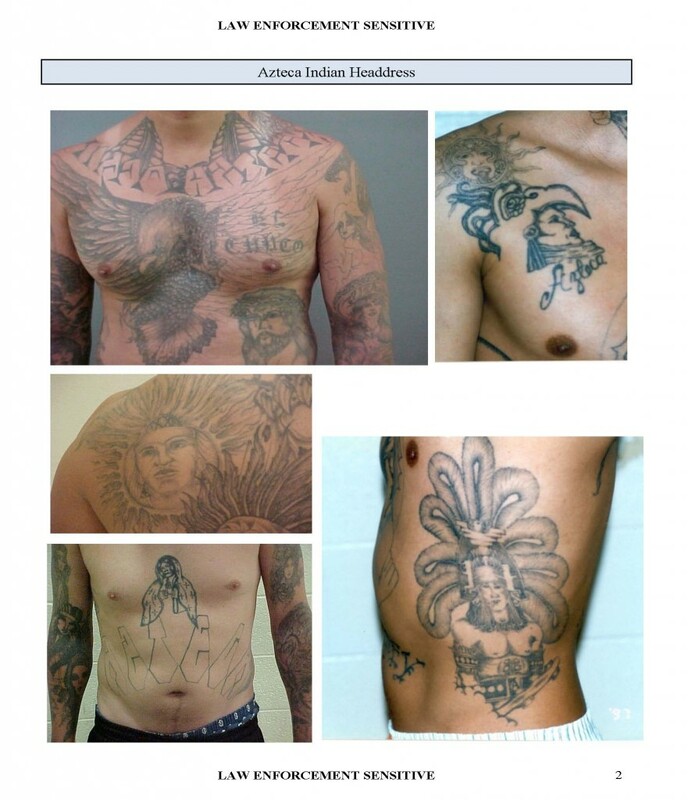 Barrio Azteca membership is estimated at 3,500 inside and outside of the prison system. Members have been reported in Texas, New Mexico, Colorado, Nevada, Arizona, California, Oklahoma, Idaho, Washington, Kansas, Illinois, South Carolina, North Carolina, New Jersey, New York and Utah. 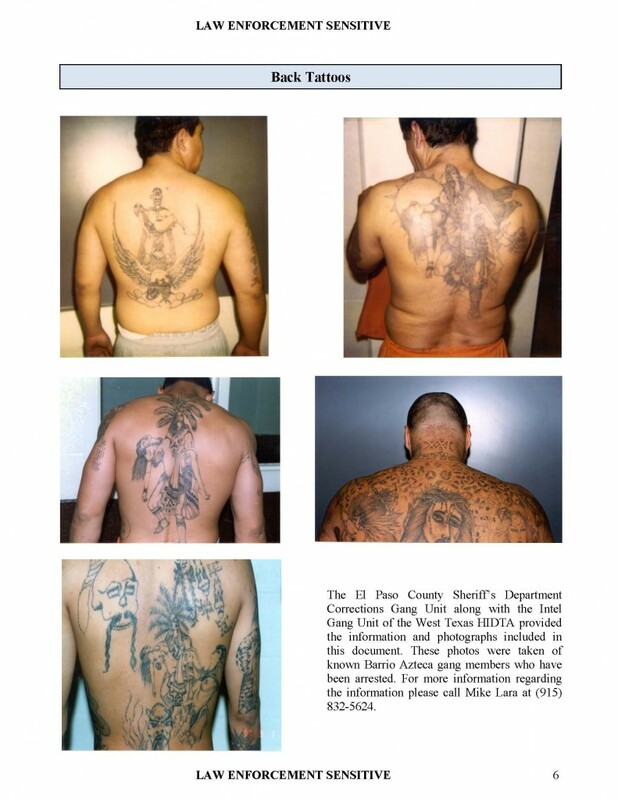 They participate in enforcing the rules of the Juarez Cartel in El Paso, Texas, and southern New Mexico. The El Paso Barrio Azteca accepts narcotics shipments in the U.S., stashes it and transports it (normally in secret compartments) to destination cities in the U.S. In some instances, they have also been involved in smuggling bulk currency to Mexico, where it is subsequently laundered. 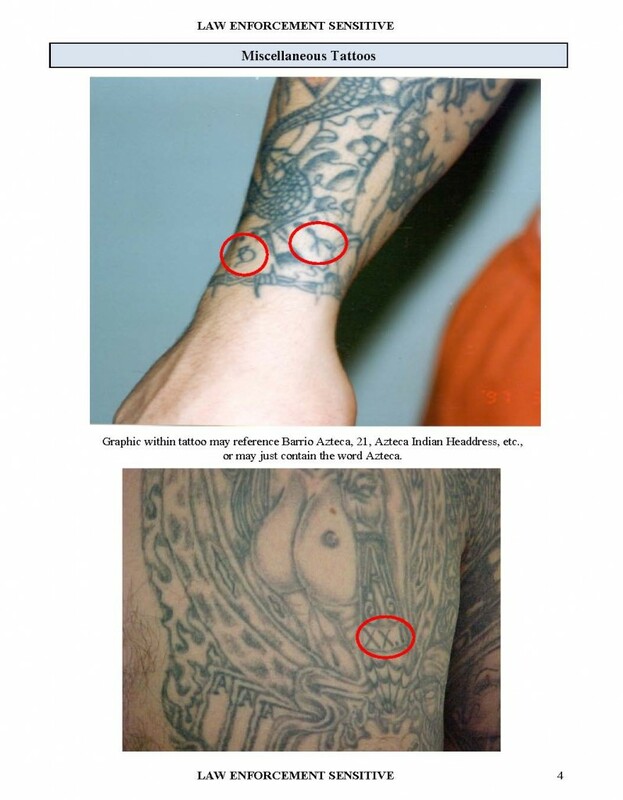 Barrio Azteca has also been involved in supporting alien smuggling groups when they operate in the U.S. The Barrio Azteca allegiance to a cartel facilitates its access to narcotics, finances, and protection from Mexican LEAs. Barrio Azteca do not have a specific tattoo but have been known to use an Aztec Indian head. A tattoo with feathers indicates ranking within the gang – one feather signifies the rank of lieutenant and two feathers, the rank of captain. 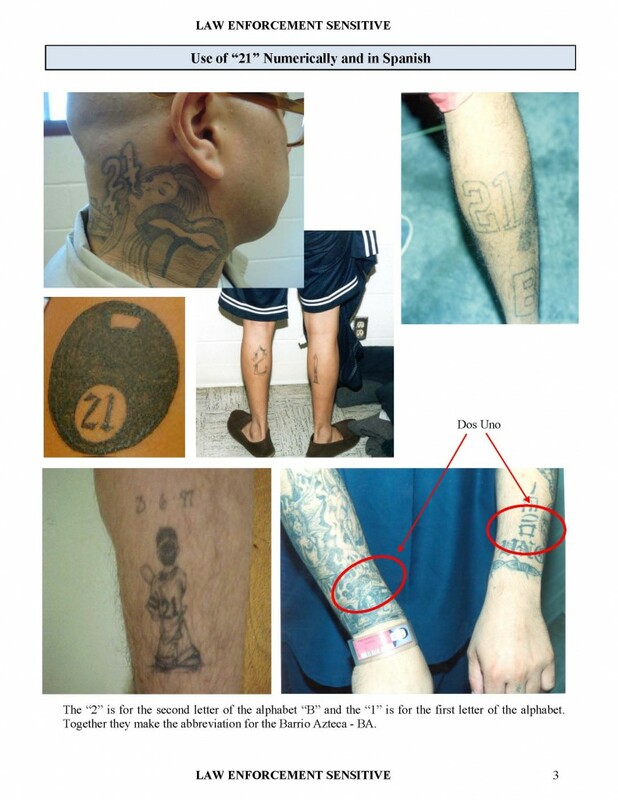 Other gang members have “2” and a “1” tattoos. The “2” is for the second letter of the alphabet “B” and the “1” is for the first letter of the alphabet. Together they make the short title for the Barrio Azteca; BA. The following pages provide photographs of tattoos associated with the Barrio Azteca.